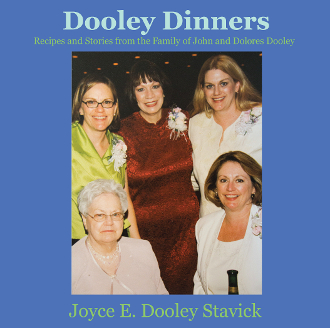 Dooley Dinners comprises one family’s culinary memoir in stories, recipes, and photos. The stories come from five generations, revealing memories of family meals and related stories. The recipes reflect cherished dishes spanning six generations.